Dictionary and notebook 2. An open dictionary with a pair of glasses laying on top. a notebook and pen are sitting on the desk beside it. 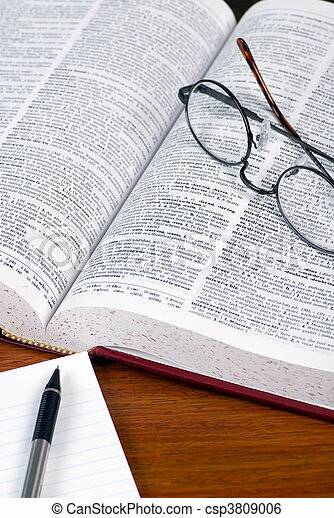 An open dictionary with a pair of glasses laying on top. A notebook and pen are sitting on the desk beside it.